Join the Centre for the Study of Governance Innovation in a week-long series of lectures and workshops with some of the world’s most innovative thinkers and leading academics. Important: Seats are limited for all events. 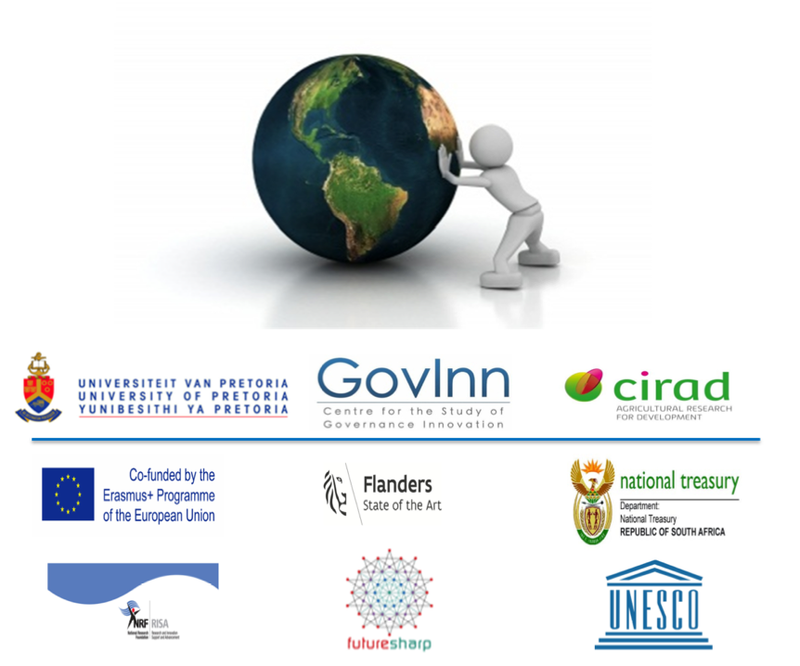 Please RSVP by 15 May 2015 to govinn2015@gmail.com indicating precisely which events you would like to attend. 3 June 2015, 4.30pm ‘Why Greater Equality Makes Societies Stronger’ Richard Wilkinson and Kate Pickett, bestselling authors of “The Spirit Level: Why Equality Is Better for Everyone”. 4 June 2015, 4.30pm ‘Within or Beyond Capitalism? Four Scenarios for the Emerging Collaborative Economy’ Michel Bauwens, Founder of the Peer-To-Peer Foundation and author of Network Society and Future Scenarios for a Collaborative Economy. The European Union (EU) is increasingly engaged in a type of external environmental governance in which it seeks to expand its environmental norms, rules and policies well beyond its legal jurisdiction through a mixture of persuasion, incentives and coercion. This ‘inside-out’ aspect of EU governance is not really new – the EU has long been exporting its innovative environmental policies to the rest of the world. However, the extension of EU’s governance beyond its borders is a concept that is gaining traction in EU studies. The aim of this three-day workshop is to bring together a small group of top international scholars to explore how, where and to what effect the EU is embarking on new forms of external environmental governance. As the current economic system based on the maximization of gross domestic product (GDP) is being increasingly questioned because of environmental degradation, rising inequality and resource depletion we need to transition our economies to a new paradigm. This workshop will bring together some of the world’s leading thinkers and scholars working on ecological economies, ‘beyond GDP’ metrics of economic performance, income inequality and public policy and will launch an Africa-wide network dedicated to research and advocacy in new economic paradigms. Development cannot effectively reduce poverty without broad-based creation of opportunities, shared benefits and participation in decision-making. The overall objective of this workshop is to analyze different instruments and approaches that can potentially contribute to inclusive development. It will be structured into two sessions. A first session (2 June) will focus on inclusive business models in agriculture, linking smallholders to large farm and agribusiness investments, and will assess their potential for poverty alleviation, job creation and market integration. It will include the results of a research project as well as panel discussions with practitioners, beneficiaries and government officials. The second session (3 June) will present participatory tools and platforms for inclusive decision-making and will reflect on the potential of spatial inclusion to unlock inclusive development. This workshop brings together scholars, policy makers and civil society practitioners to exchange information and seek solutions to practical issues and challenges involving cross-border movement, trade and social cohesion in Sub-Saharan Africa, with a particular focus on eastern and southern Africa. Participants will examine the phenomenon of informal cross-border movers in Africa’s integration agenda and analyze its potential as an alternative means of social integration on the continent. The workshop is hosted by the UNESCO-UNU Chair in Regional Integration, Migration and Free Movement of People. The field of regionalism studies is undergoing a phase of considerable expansion. Regional spaces that were hitherto seldom addressed as regions due to their geography (deserts, oceans) or their limited interdependence (interstitial zones) are catching the interest of scholars. At the same time, agency ranks high on the agenda, as a thorough analysis of regional actors is often missing. The workshop relates to these research trends by focusing on two issues that illustrate avenues for the development of the discipline: the finances of regionalism and their impact, and the creation of new regional projects that are transcending conventional boundaries. The EU-Africa workshop will be the first event to be held under the auspices of the new European Studies Association of Sub-Saharan Africa (ESA-SSA), which will be launched during the workshop. Capitalizing on the University of Pretoria’s geographic location, the purpose of this workshop is to focus on the long-standing and sometimes problematic relationship between Africa and the European Union. Relations today are moving beyond that of donor-recipient to reflect changing circumstances. This workshop will highlight some of these changes, including the roles of African agency and innovation. Focus will also be placed on multilateral issues that are of priority to Africans vis-à-vis Europe, such as trade protectionism and peace and security cooperation.